Everyone wants to look fresh, clean and good looking. From time to time, people change their hair style and for some, it can surely boost their confidence. 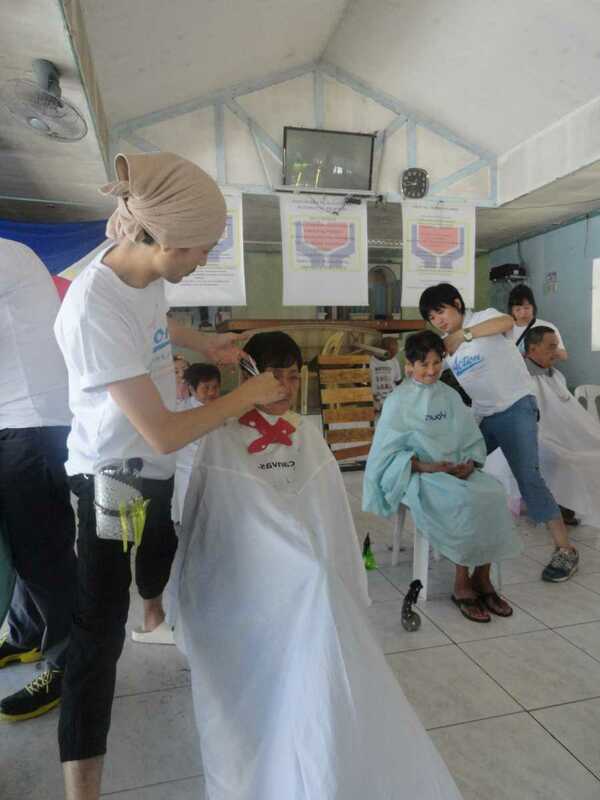 Last 21-22 November, 2016, ACTION’s Hasami no Chikara (Power of Scissors) project organized a “Charity Haircut” wherein 12 (4 female, 9 male) professional Japanese hair stylists went to Manila and Olongapo city to offer free hair cut and hair styling services. 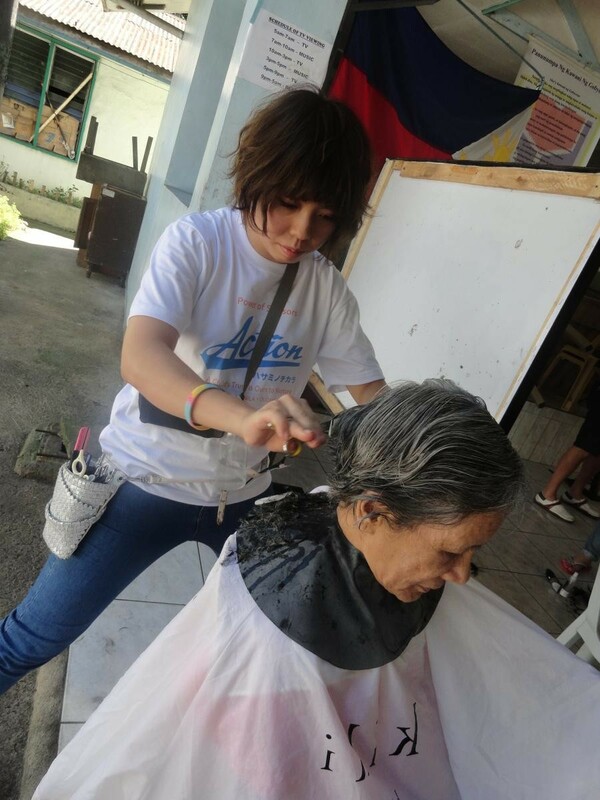 They were joined by Mr. Jude Hipolito, one of the prominent hairstylists here in Philippines, who is also a volunteer trainer for Hasami no Chikara. In Metro Manila, the activity was participated by 30 children (21 boys and 9 girls) from the community of Barangay Bahay Toro in Quezon City on November 21, 2016, while 60 older persons (33 male, 27 female) from Golden Reception and Action Center for the Elderly and other Special Cases (GRACES) and 50 female children from Reception and Study Center for Children (RSCC) benefited from the free hair cutting/styling on November 22, 2016. After the hair cut session, one of the clients from GRACES said “I now look so young, this is an early gift for my birthday”. After the charity haircut, a group of children from RSCC performed a dance number as their way of showing gratitude to the Japanese guests. The same Japanese professionals also had a chance to stay overnight with Filipino families residing in the nearby community of Barangay Bahay Toro. They were welcomed and accommodated by 6 host families who are mostly beneficiaries of ACTION’s project, the Iyashi No Chikara (Power of Therapy) livelihood skills training project. 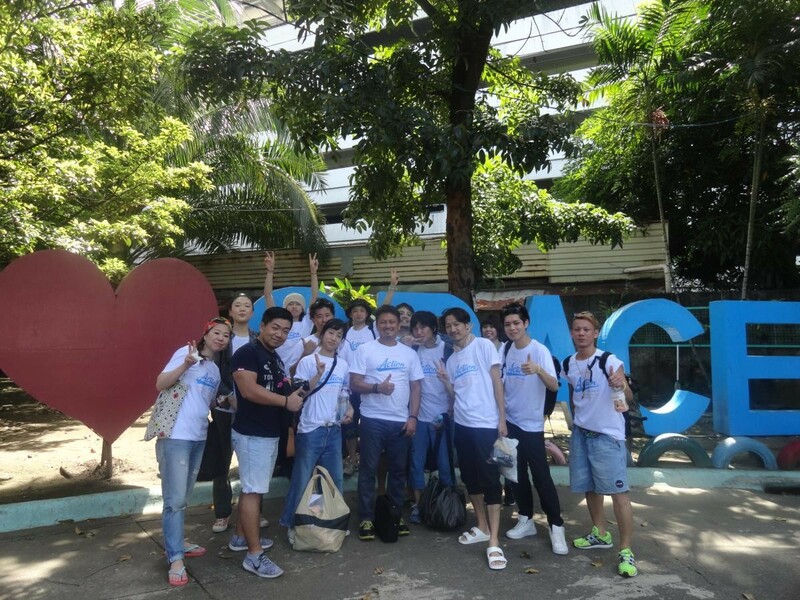 The experience provided the Japanese nationals an insight into the simple life of Filipino families in this poverty-stricken area of the community. The activity was successfully conducted, thanks to the support of ACTION’s partners including Department of Social Welfare and Development – National Capital Region and Barangay Bahay Toro. ← ACTION’s BUBBLE RUN: Takbo Para sa Karapatang Pambata!